Check out everything that's happening with our campaign and remember to Vote Aneralla for Mayor on Tuesday, November 3rd! First, I want to say thank you to everyone who came out to our fundraiser at Primal Brewing Company last week and also a big thank you to the wonderful Primal Brewing team for hosting the event, Charlotte Special Events for providing excellent food and Buddy Dukes and his son for entertaining us with great live music. We had a great crowd and a very successful event. 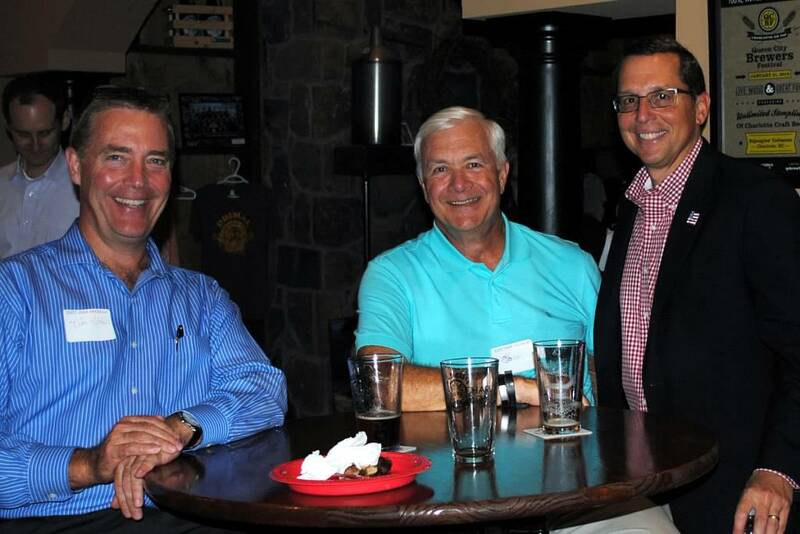 It was great to have some of my fellow Lake Norman Kiwanians turn out to support our event at Primal last week! If you missed our event last week you missed out on a great meal! 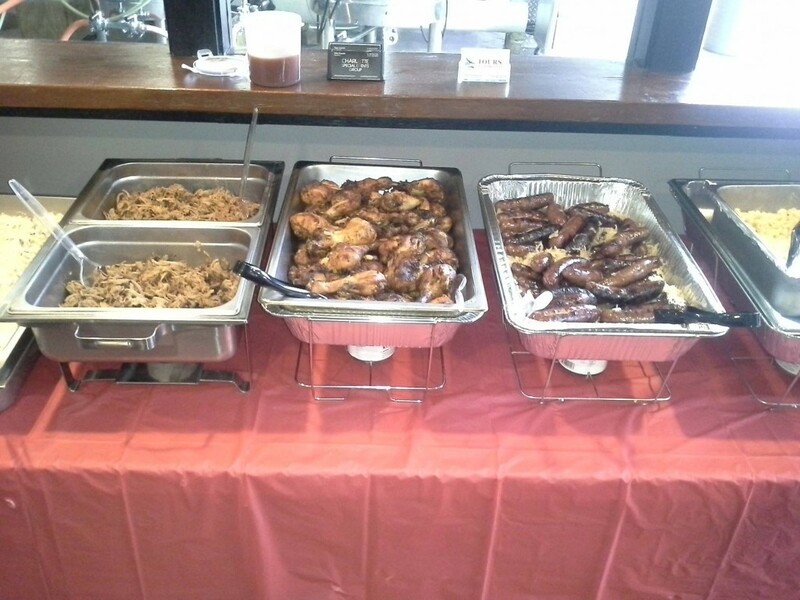 Thanks to Charlotte Special Events group for providing such delicious food! Also, I want to thank everyone who came out to last night’s candidate forum at Town Hall. It was great to see the friendly faces of so many supporters in the overflow crowd! Donate: We are getting closer and closer to our fundraising goal and you can help put us over the top. Just click here to contribute online! Volunteer: We are looking for volunteers to help us work the polls during Early Voting and on Election Day and to assist the campaign with various events and activities. If you would like to volunteer please contact Melisa Taylor by phone at (704) 728-2227 or by email at JohnAnerallaVolunteers@gmail.com. Yard Signs: As you’ve seen, our yard signs have started going up all over Huntersville. They are in high demand so supplies are running low but if you are in need of a sign please email us at contact@electjohnaneralla.com and we’ll fill your request as long as supplies allow. Vote Early: Early Voting begins on Saturday, October 24th at North County Library in Huntersville and runs through Halloween, Saturday, October 31st. Early Voting will be open on Saturday, October 24th from 10:00AM to 1:00PM, Sunday, October 25th from 1:00PM to 4:00Pm, Monday, October 26th through Friday, October 30th from 10:00AM to 7:00PM and on Saturday, October 31st from 10:00AM to 1:00PM. We encourage everyone to take advantage of Early Voting! Vote Absentee by Mail: To request an absentee ballot by mail simply click on this link, http://charmeck.org/mecklenburg/county/BOE/voter/Documents/AbsenteeBallotRequestFormweb.pdf, fill out the form, return it to the Mecklenburg County Board of Elections at the address on the form and they will mail you an absentee ballot. Anyone who desires may vote absentee by mail. Register to Vote: If you or anyone you know is not yet registered to vote visit this link, http://charmeck.org/mecklenburg/county/BOE/Documents/voter%20registration%20form.pdf, complete, print and sign the form, and return it to the Mecklenburg County Board of Elections at PO Box 31788 Charlotte, NC 28231. The deadline for voter registration is 5pm, Tomorrow, October 9th or you can register and vote at an early voting site. Registration forms postmarked October 9th will be accepted. Thanks for your continued support! This wouldn’t be possible without you. Onward to victory on November 3rd! Copyright © 2015 Huntersville Mayor John Aneralla, All rights reserved.